It’s officially Olympics month! The 2018 Winter Games kick off on February 9 in Pyeongchang, South Korea. Olympic dreams and the joy of winter sports aren’t reserved for the elite levels – they start in community recreation facilities like the Kettering Ice Arena. All February long, we’re highlighting some of the dynamic teams and individuals who call the KIA home. 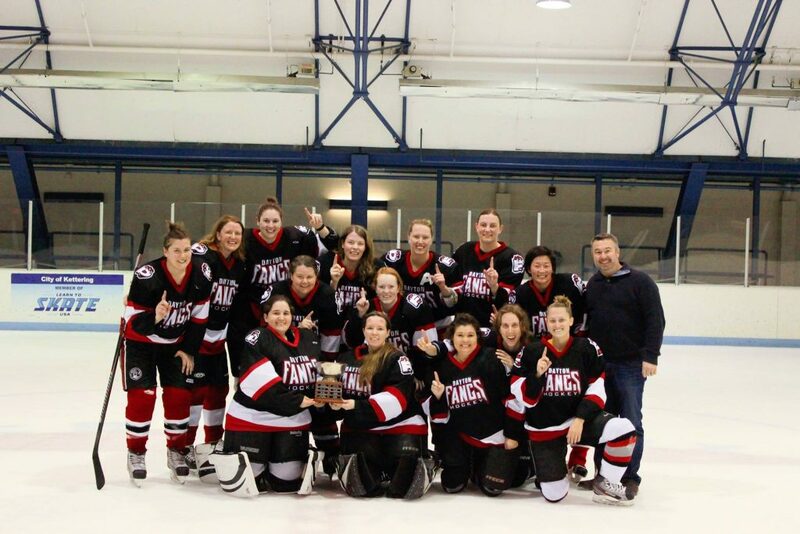 First up, meet the Dayton Fangs, the Miami Valley’s only all-women’s hockey team! The Dayton Fangs is part of the Pennsylvania-Ohio Women’s Hockey Association (POWHA) and is a travel team that competes against teams from Pittsburgh to Indianapolis. The Dayton Fangs is for women 18 and up with varying skill levels and experience. Want to learn more? “Anyone interested is welcome to come by Kettering Recreation Complex and check out our Tuesday night skates. We play a scrimmage against a group of guys at 8pm,” Buck said. Learn more about Kettering Ice Arena.